Reap the Benefits of an Innovative, online change management software for complete change control in an automated, simple to use system. Faster for change control boards, all they need to make their decision is there, ready and waiting. Change management has never been as simple or as effective. Easy to use for everyone – easy to use wizards make processes easy to follow and reduces errors throughout every aspect of change. Automatically track and proactively inform everyone that is involved, every step of the way. Access the information immediately, produce detailed reports and add comments, at the touch of a button. Automated features streamline processes and provide essential information precisely when you need it. IntaChange Enterprise directly reduces the time people take to do what they have to do. 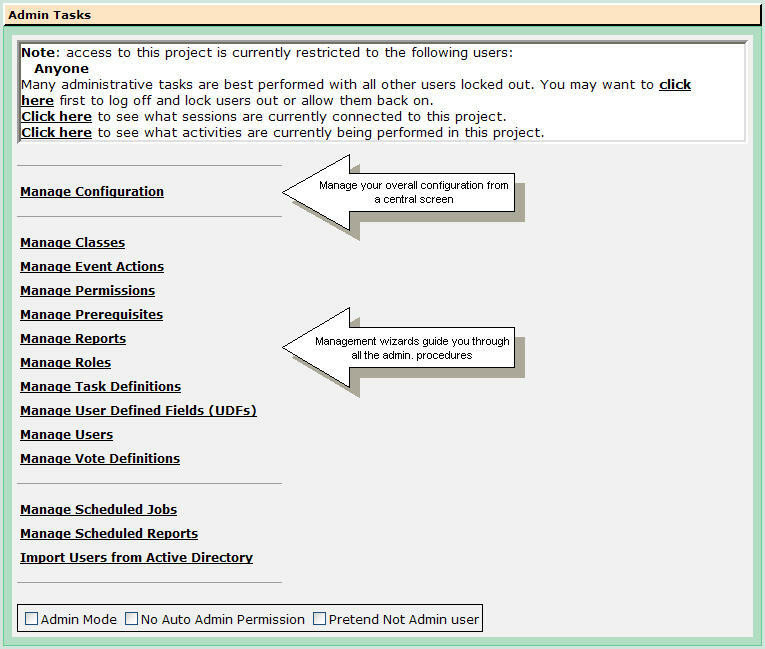 Submit, track and assign requests for change, online, with automatic alerts sent to all the relevant people. Approve, reject and comment on changes, all without leaving your desk. Discuss, review, and re-assign at any stage, from any internet PC. 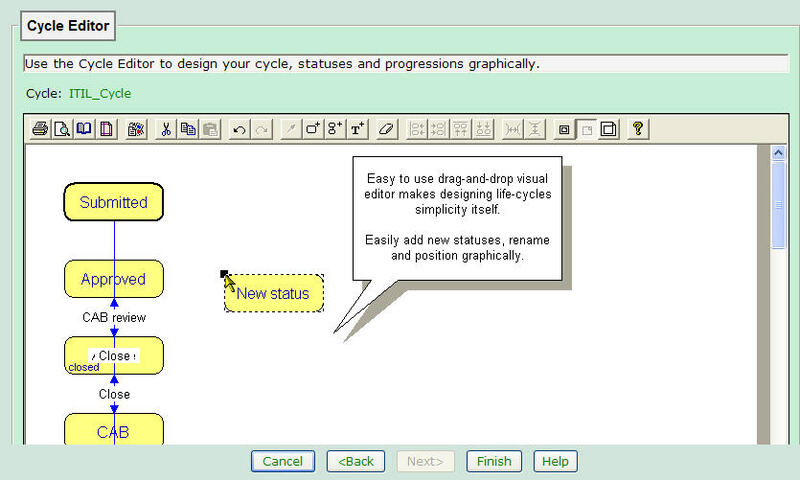 Simple graphical lifecycle editor to visually design workflows and lifecycles with drag-and-drop editing of statuses, cycles and progressions. 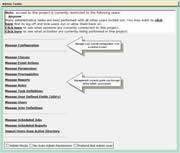 Right click to set business rules for the different change types that you might have. Export or print your change process diagrams for consultation with your team or to include in local procedures and reports. Secure up-to-date records, confident that the whole change process is being properly tracked and documented. See summary and detailed information clearly presented on a single screen. 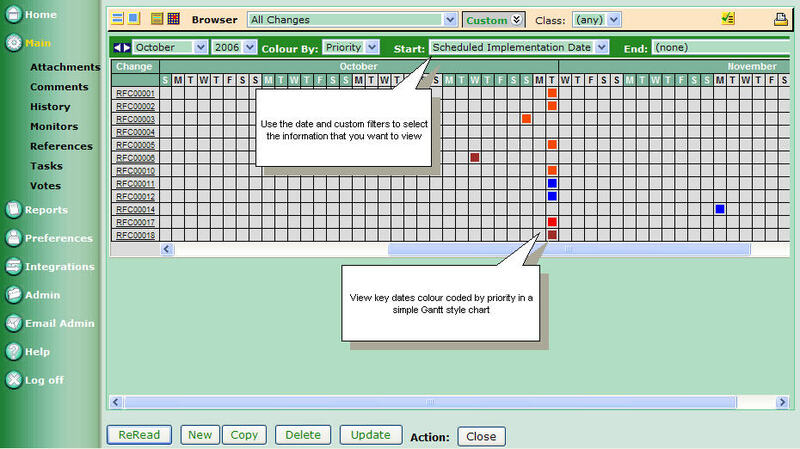 Swap between tabular, calendar and time line views of the data at a single click. Add, progress, review and update changes, in a few simple steps, using locally defined change wizards ensuring that even new members of the team can do what you need them to do with the minimum of training and delay. New change requests can be raised in seconds. Use either a locally defined wizard or the simple online web form. Cut down on CCB/CAB rejections by letting IntaChange help you ensure that changes are sent to change control boards in a standard, concise format, guaranteed to include all the information they need to authorise and progress the change. Use Automatic notification and individually specified ‘monitors’ to keep everyone informed with what they need to know, as soon as they need to know it. Set up locally defined ‘step-by-step guides’ to help new users through the workflow cycle. Let them know at every stage what to do, when to do it and why and how it should be done. IntaChange Enterprise will take your change management to the next level and beyond. Used to manage change in safety critical environments, finiancial institutions and across industry and manufacturing. IntaChange Enterprise will help you gain a competitive edge by responding faster to a constantly changing work environment and Increase your ROI by removing bottlenecks, simplifying, automating and better managing your change process. Audit trail with a full history, include not only what you have done but also why you have done it. Attach full documentation, screenshots and other files as appropriate, to each change. Automatically record dates, times, names, history and critical information of who did what, when and why, for every single change. 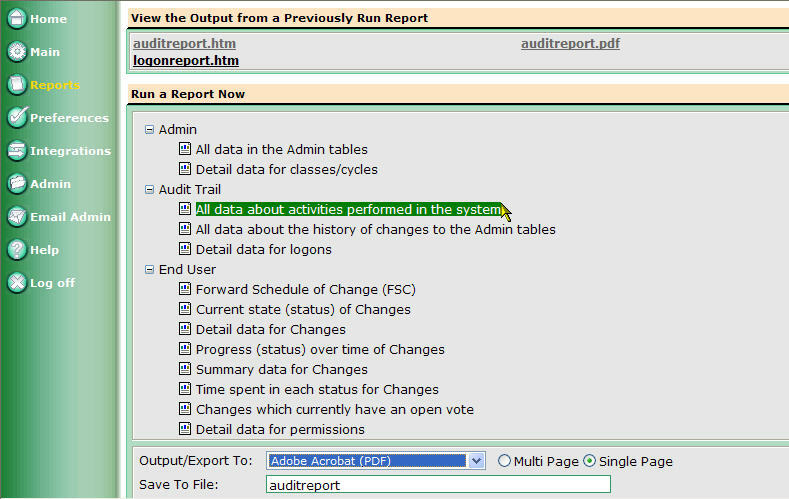 Audit trail the entire change process – add comments and gather votes and assess the impact before key decisions are made. 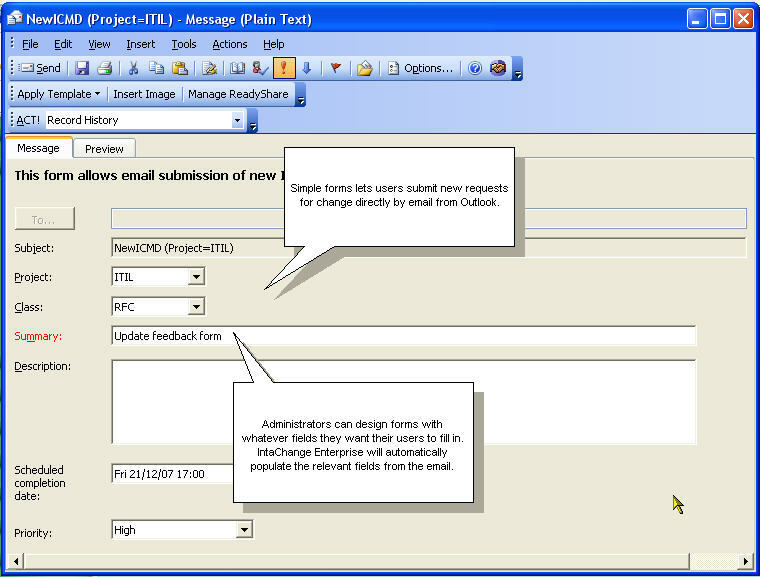 With IntaChange Enterprise you can attach documents and files of any format to each request for change. Attaching documentation gives you secure, accurate records and makes storage and retrieval much easier. Paperwork and paper wastage are dramatically reduced by electronically generating and storing records, making your change management system highly efficient and extremely effective. Vote and comment on all change, record your reasons for your decisions and see what other comments have ever been made on this change. Work collaboratively, sharing thoughts and ideas, discuss and volunteer your views without complicating the process. They don’t have time to waste in meetings or on routine tasks. With Intachange Enterprise they can raise, schedule and prioritize change; analyse risk and business impact; communicate change and ensure consultation. CAB members are automatically notified of new change requiring their attention and assigning, reviewing and approving changes follows a simple, automated process. IntaChange Enterprise keeps everyone informed with automatic email alerts, triggers and notifications at every stage. 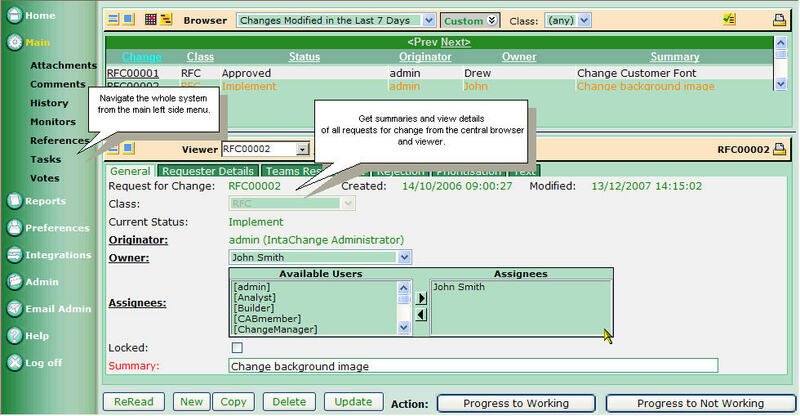 A central record for every request for change shows summary and detailed information that can be viewed by by those who have permission. Individuals can vote and comment on how the request for change should be progressed and whether they agree or disagree with it, enabling full consultation, traceability and accountability. This means that teams work more collaboratively, so projects are managed more efficiently and processes are followed correctly. 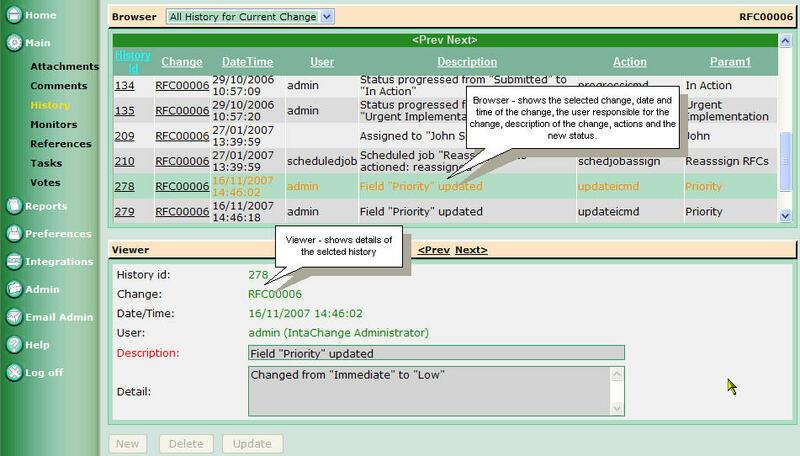 You don’t even have to log into IntaChange Enterprise to raise a new request for change. Just email details of the change request from Outlook, and IntaChange Enterprise automatically creates a new record. You can also import all your Exchange/Outlook contacts directly into IntaChange Enterprise and look up your contact details from within it. 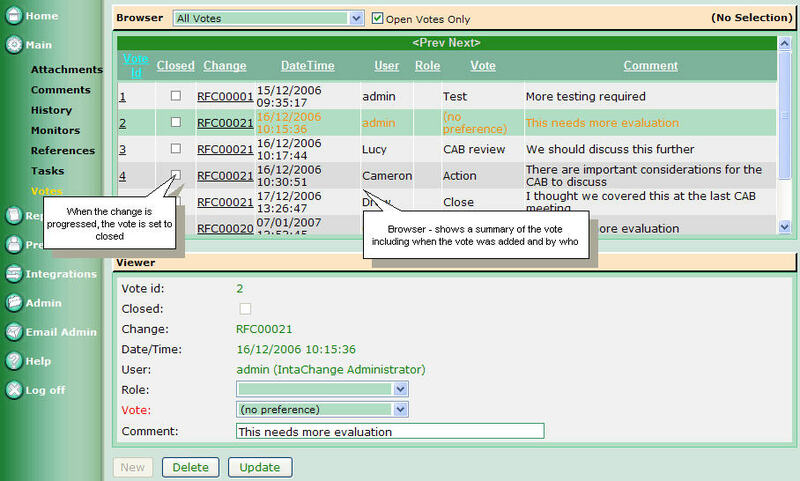 Users can also email votes on aspects of change requests, directly from Outlook. 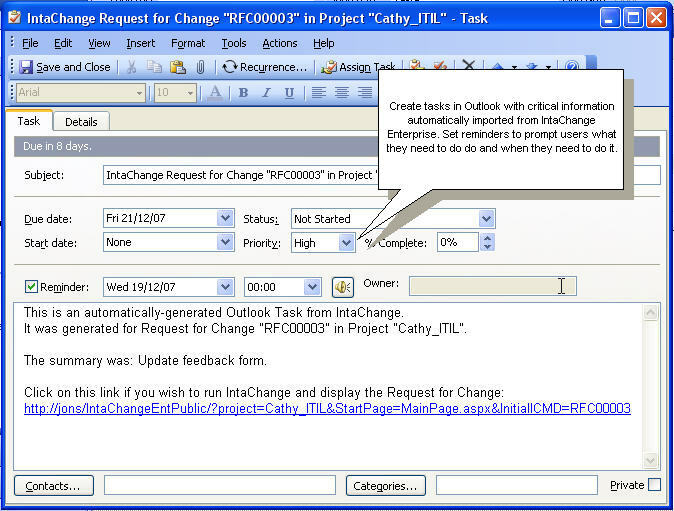 Use IntaChange Enterprise to automatically create tasks for your Outlook users to remind them what they need to do and when they need to do it. They don’t have to log in to IntaChange Enterprise to find information, so there’s no excuse for missing deadlines! IntaChange Enterprise is installed on a single server and uses an industry standard Microsoft SQL Server database. You can adapt it to your workflow, your terminology and your user preferences and set up automated routing, escalation, assignments and email alerts. It comes ready to use with built in approval controls and mechanisms and automated audit trails which you can customise if you need to. – When did they do it? IntaChange Enterprise gives a clear snapshot view of your internal IT infrastructure and its dependencies, to both internal and third party auditors. It answers those tricky questions that auditors ask. Who changed what, when did they change it and why? By keeping a secure accurate record of all changes, and implementing automated, mandatory controls, it reduces the risk of unauthorised access and data tampering. And the beauty of it is, IntaChange Enterprise is simplicity itself. It lets you control your complex business processes by administering all changes from a central point, reducing mistakes and avoiding duplication. It ensures that accurate, up-to-date records are kept, giving you the peace of mind that your data is secure.